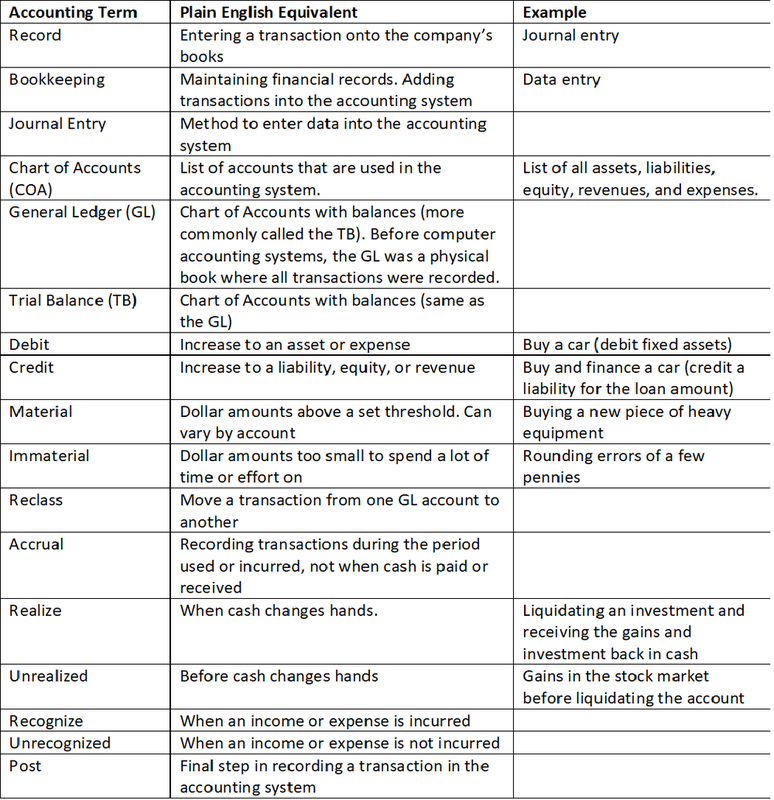 As the language of business, accounting has its own set of terminology. Many of the terms have different meanings in ordinary English. Now that we have explored what is accounting, we are reading to go into the terminology. In three posts I will go over common accounting terms, the plain English translation, and examples when appropriate.